Hairy perennial with basal rosettes of broadly ovate, scallop-edged, wrinkled deep green leaves, about 7cm long. 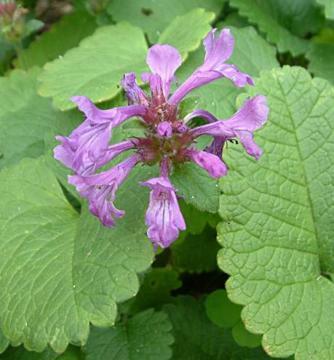 Spikes of hooded, tubular, purple flowers on erect stems from summer to early autumn. From seed or by division.